We have just received information about the upcoming models from Sasmung company. The upcoming models called Galaxy Ace 4, Core II, and Young 2, has been priced. 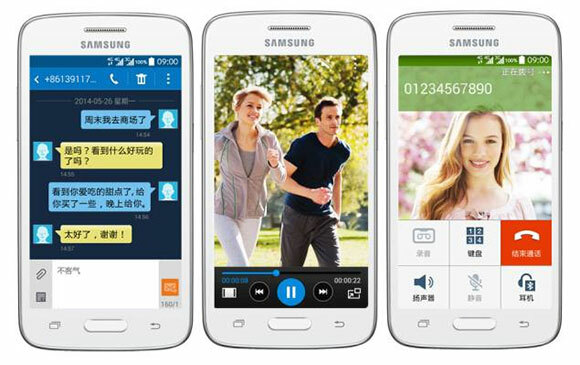 The first one Galaxy Ace 4 will cost 219 euro, and as always the ace models will be cheap but not too impresive when it comes to its specification which include a 4.0-inch WVGA display, 1GHz dual-core processor, and a 1,500mAh battery. The second model Galaxy Core II is more powerfull when it comes to its specification a 4.5-inch WVGA display with quad-core 1.2GHz processor, 2,000mAh battery. It will also have a leather back, like the one introduced with the GALAXY S4 model. The price might be a suprise, because the phone will cost about 179 euro which is cheaper and better thanAce 4. The phone will come in two version single, and dual sim. The last model Yung 2 will cost 99 euro, but at the same time will be the weakest of all three. It has a 1GHz single-core processor, 3.5-inch HVGA screen, and a 1,300mAh battery. All three models will be working on a Android 4.4 Kitkat. All models will be available this year. Our website sim-unlock.net offers sim unlock codes to unlock every Samsungs sim blockade. If you are tired of using the same network all the time, please give us a try.